A persistent mild-to-moderate pain on one side of the head may be the beginnings of a nummular headache. 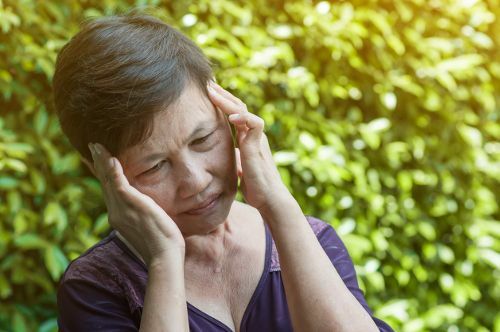 This rare condition may indicate an injured or damaged nerve, and is common among women 40 to 60 years of age.The pain often occurs in a well-defined round- or oval-shaped region of the head. It can lead to other sensory nerve issues such as allodynia (pain from stimuli that don’t usually cause pain) or paresthesia (sensations of pricking or tingling for no known reason). Nummular headaches may call for prescription medication to alleviate pain and other symptoms. Recognizing the signs of a nummular headache can help you distinguish this form of head pain from similar conditions that concern the nerves. The intensity may differ with each episode, but the pain remains limited to one area on the side of the head. Nummular headaches may return after treatment with the same, or higher, pain intensity. What are the Symptoms of Nummular Headaches? How to Treat Nummular Headaches? Experts believe that nummular headaches are related to an injury, damage, or disturbance of the trigeminal nerve. This is the fifth cranial nerve. As the trigeminal nerve sends messages from the face to the brain, it is responsible for facial sensations and the motor functions of chewing and biting. This type of headache may also be the result of a dental procedure such as an extraction or a root canal. The symptoms of a nummular headache are distinct due to the location of the pain and the recurrence. It is characterized by each episode of the pain appearing in the same location, rotating in one spot. This area of pain may measure from one to six centimeters in size and is typically coin-shaped. The headache may range from mild to moderate with a dull or stabbing pain. It may develop in any spot on the head; however, the parietal region, located on either side of the head, is the most common area affected. As such, it is sometimes referred to as a parietal headache. The nummular headache is typically present on just one side of the head, although in rare occurrences, it has been felt on both sides of the head at the same time. During a medical examination, the affected area may present tenderness and a pulsating effect upon touch. Diagnosis of a nummular headache requires diagnostic testing in addition to a check of the patient’s medical history and a physical examination. A computer tomography (CT) or magnetic resonance imaging (MRI) scan may be necessary to gain a more in-depth look at the brain. Depending on the severity of the nerve injury or damage, treatment for nummular headaches may require the use of botulinum toxin, gabapentin, or tricyclic antidepressants. A clinical study of a patient diagnosed with nummular headaches had successful results with the use of the analgesic “Neurotropin,” or NTP. This is a common prescription-strength pain reliever for chronic conditions. Within two weeks, there were signs of improvement, with a complete stoppage of pain after taking the medication for less than two months. Other medications, such as those in the non-steroidal anti-inflammatory category, have also shown similar results when used in combination with antidepressants. “Botox” has also been an option for some cases as it blocks the connections of the nerves. The U.S. Food and Drug Administration (FDA) approved the use of “Botox” in migraine treatments in 2010. A nummular headache is often associated with migraines due to the severity of the pain, as well as the sensory effects it may have. Typically developing on the parietal region of the head, this form of headache may come and go or be constantly present for weeks or months at a time. A damaged nerve may cause the pain and sensory symptoms that lead to more severe nerve-related issues. Antidepressants, “Botox,” and non-steroidal anti-inflammatory drugs have been shown to successfully stop the pain. A proper diagnosis with diagnostic imaging tests may help to find a solution quickly. Doherty, C., MD., “What is a Nummular Headache?” Very Well, December 2, 2017; https://www.verywell.com/parietal-headache-may-be-a-nummular-headache-1719428, last accessed December 18, 2017. Yamazaki, Y., et al., “Successful treatment of nummular headache with Neurotropin,” The Journal of Headache and Pain, Dec. 2011, 12(6):661-662; https://www.ncbi.nlm.nih.gov/pmc/articles/PMC3208038/, last accessed December 18. 2017.